I cannot believe it's August 1! Smack in the middle of summer, I'm loving it. 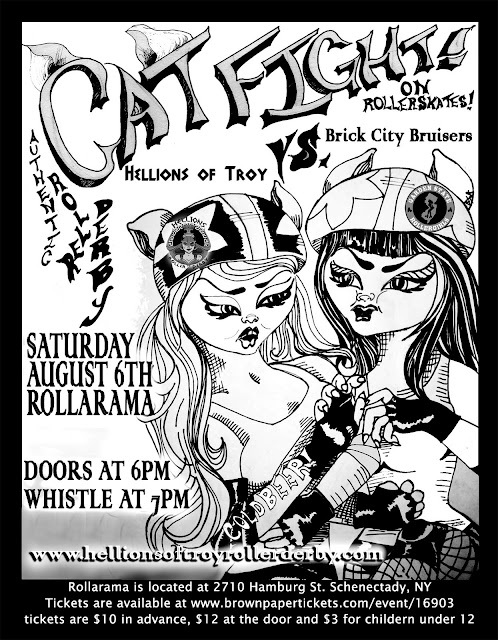 Next weekend we take on the Garden State Rollergirls, who we also played down on their home turf back in May. You can get tickets from brownpapertickets.com or message me and I can hook you up with $10 tickets. There's also going to be a coupon in this week's Metroland on Thursday - so make sure to check that out!